Taeniasis is a parasitic infection caused by a parasite called tapeworm. The parasites are the microorganisms which attach themselves to any other living organism to survive. They get their nutrition from the other living organism on which they reside and to which they are attached are called hosts. These parasites can be found in contaminated food and water. Consuming this contaminated food or water leads to entry of these parasites in your body where they attach themselves inside any organ causing infection and producing signs and symptoms. This parasite can grow up to 12 feet in length and can live in human intestine without causing any symptoms. Segments of tapeworm attached with their bodies reproduces and form eggs. Similarly Tareniasis is a parasitic infection affecting intestines, especially small one. Taeniasis can be caused by any of the two types of tapeworm i.e. Taenia saginata or Taenia solium. Infection can occur after eating contaminated pork (Taenia solium) or beef (Taenia saginata). Eating raw or uncooked beef or pork can cause the infection. WHAT ARE THE SIGNS AND SYMPTOMS OF TAENIASIA? Perianal irritation - This perianal irritation is due to the expulsion of the eggs of the parasite present in the intestines or the segments of worms itself. Seeing worm segments in stool makes one aware of the presence of parasite in their body. WHAT CAN BE THE RISK FACTORS OF TAENIASIS? As said earlier eating uncooked or not properly cooked beef or pork can cause Taeniasis. As these things are cooked properly even if the meat is infected, the larvae or worm present in it gets destroyed preventing the chances of infection. It usually occurs in Russia, Eastern Europe, Latin America and Eastern Africa as in these places uncooked and contaminated beef and pork is eaten more commonly. The areas which are much populated, cattle are in large number, have poor living conditions, and bad sanitation are most often affected by Taeniasis. HOW CAN TAENIASIS BE DIAGNOSED? HOW CAN TAENIASIS BE TREATED? 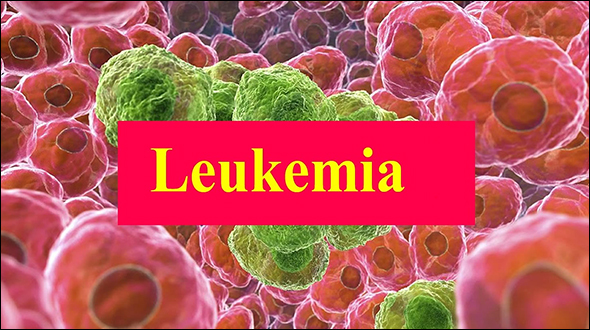 In conventional system of medicine, certain antihelmintic medicines are given to kill and eliminate the parasite from the body. But as these medicines are really strong and may cause side effects like stomach disturbances and dizziness. 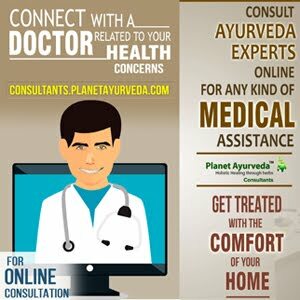 However Ayurveda has totally different perspective regarding to diseases, their causation and treatments. Ayurveda, science of life treats patients individually, not considering everyone same and generalizing them. As every person is different and their response to diseases is also different hence every case need to be individualized and treated in an individual way. As per Ayurveda, agnimand, i.e. weak digestive fire is the cause for any kind of parasitic infections. Low digestive fire in the body creates an ideal space for the parasite to invade and live in the body. As said every person is different so is the body type. Body type can be of Vata, Pitta or Kapha type and these parasitic infections are more common in Kapha and Vata body type of persons. This is because they have low digestive fire or agni, making body a perfect host for parasite. Pitta people are comparatively less prone to get affected from taeniasis or any parasitic infections as they have strong digestive fire. This strong agni burns up the parasite as soon as they invade the body, even not letting them to settle down and reproduce. 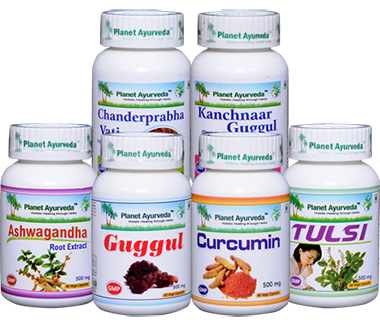 Planet Ayurveda has come up with specific herbal remedies to treat Taeniasis. These remedies are completely Ayurvedic, natural and prepared from best quality of herbs. They are prepared by following strict Ayurvedic principles under the supervision of an Ayurveda expert, Dr.Vikram Chauhan. No chemicals, preservatives, fillers or dye are added in them, making them most natural way to treat the Taeniasis. This herbal syrup is made from pure extract of Embelia ribes (Vidanga). It is considered to be a hero herb in case of removing parasites from the body. It increases digestive fire of the body and kills the parasites present in the body. Warm and pungent qualities of Vidanga play the vital role in elimination of unwanted guests from the body. It relieves digestive troubles, flatulence and abdominal distention. Dosage- Take 2 teaspoons mixed with equal amount of water twice daily after meals. As the name suggests these herbal capsules are made from pure extract of neem and as everyone knows that this herb is a storehouse of numerous medicinal properties. Neem possesses antihelminthic, antibacterial and antimicrobial properties which lead to destruction and elimination of the parasites. Dosage- Take 2 capsules twice daily after meals with plain water. This herbal tablet is an amazing blend of herbs which work together to relieve the signs and symptoms of Taeniasis. Mahashankh vati relieves bloating, accumulation of abdominal gas and abdominal pain. It is full of carminative, digestive and stomachic properties which relieve all kind of digestive troubles. Dosage- 2 tablets twice daily after meals with plain water. Kapura, ajmoda, vidanga, indrayava etc. are some of the wonderful herbs used to prepare these herbal tablets. Its main action is to eliminate the worms from the intestines and relieves the digestive troubles. Krimikuthar tablets are full of medicinal properties like analgesic, anthelmintic, carminative, astringent and antioxidant. Dosage- Take 1 tablet twice daily after meals with plain water.